Regular Slotted Carton (RSC) Box (a.k.a Standard Box) is a highly efficient design which are glued or stitched on the flaps. It is used for most products, and is the most common box style. Teguh Group could produce B,C, and E flute boxes and sheets. This causes very less amount of manufacturing waste. 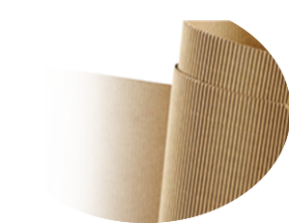 Our products are made of corrugated boards from high grammage paper, which are environmentally friendly, recyclable, and easily disposable. If the product requires a flat, even bottom surface, or the protection of two full layers, a fill-in pad can be placed between the two inner flaps. Do you need unique packaging needs? We can assist you to create all different types of curves, styles, ventilation holes, or flap extensions based on your requirements. Die-Cut boxes can be made to be self-locking, which means that there is no need for glue, tape, staples or any closing method. 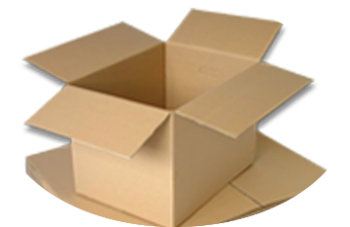 In other words, Die-cuts are custom made products, which are produced with an exceptionally high quality and using the best corrugated material. 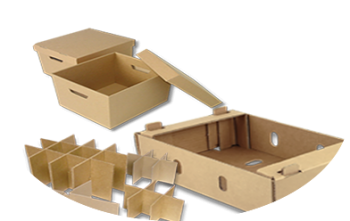 The manufacturing process is different than from standard boxes (a.k.a Regular Slotted Box (RSC)), offering you a much wider type of carton boxes.